In search of the perfect pho. 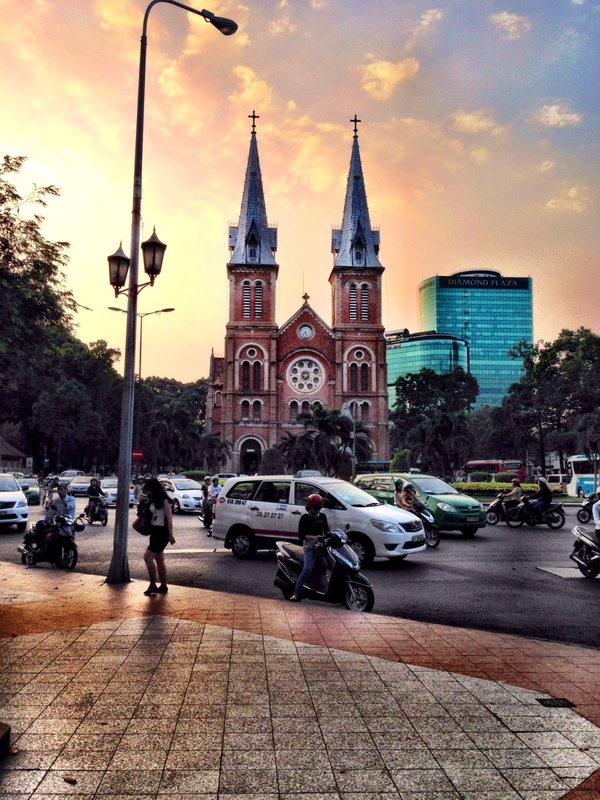 36 hours in Saigon. Vietnam. « why is a raven like a writing desk? Pho, pronounced as ‘fuh’ or ‘fur’ is a popular Vietnamese noodle soup bowl, consisting of broth, meat, rice noodles and herbs, usually basil, fresh cut chilli and lime. We’ve had the most delectable pho in Singapore and were salvating at the thought of finding the best bowl over our weekend trip to Saigon 2 weeks ago. 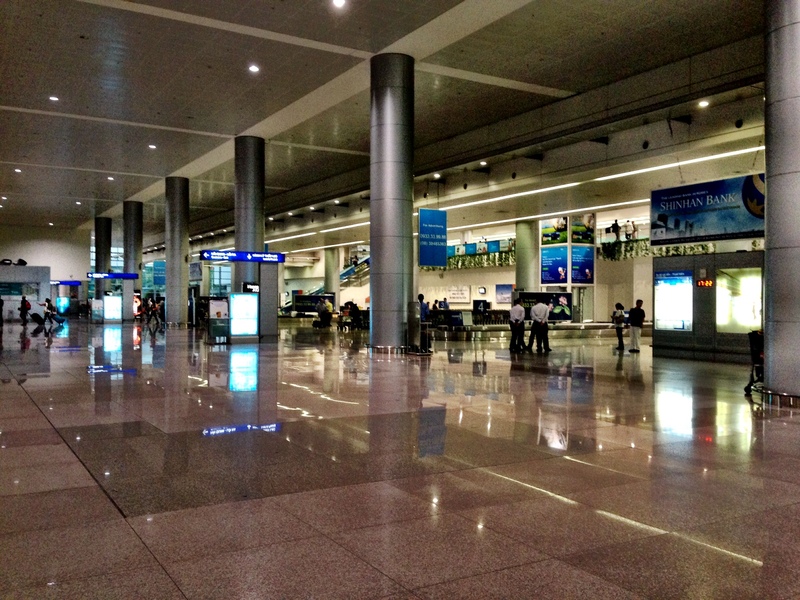 We landed in Ho Chi Minh City to the notably squeaky clean airport, the visa on arrival formalities took about half an hour and we were good to go. We bought a local SIM card each at the airport just before exiting; for US$5 we got unlimited incoming calls, a certain number of local outgoing calls and up to 50 GB of data usage per day. 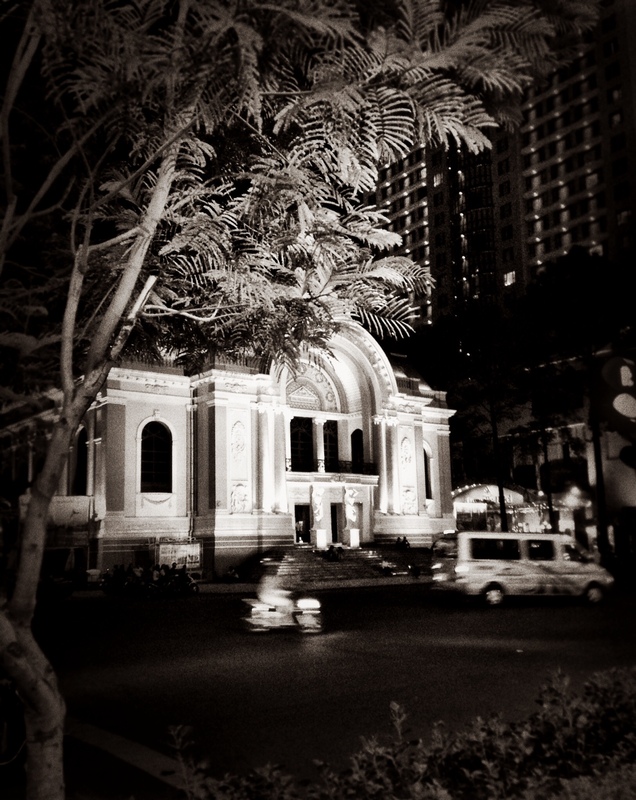 We were staying at the Rex Hotel in district 1 for 3 nights, in close prolixity to the municipal buildings, the Opera House and the Saigon Notre-Dame Basilica. 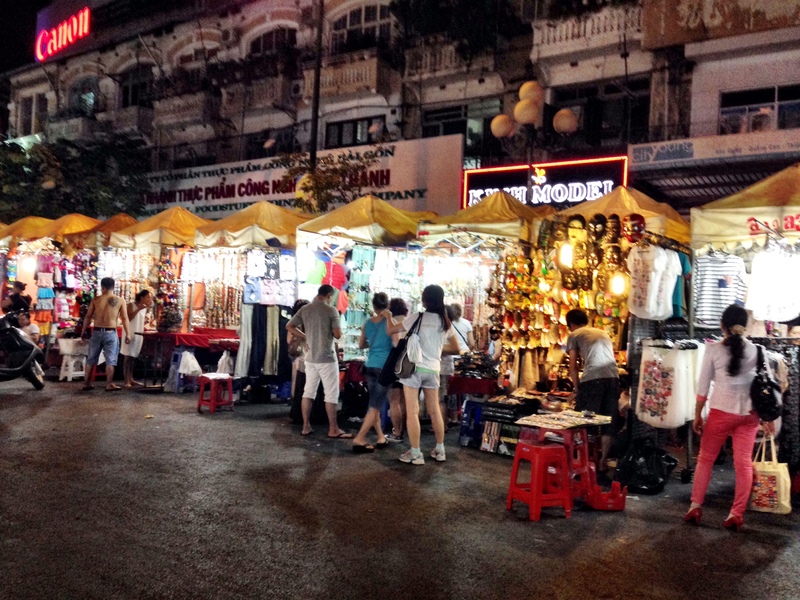 We decided to go to the night market held outside the Ben Thanh Market (starting after 1800 hours once Ben Thanh closes) the first evening there with the hope of some street credit worthy pho and cheap shopping. At 7 pm the market was just about setting up, with grouchy shopkeepers shooing us away demanding we come back later. We found Pho 2000 right behind the market above a The Coffee Bean & Tea Leaf cafe. 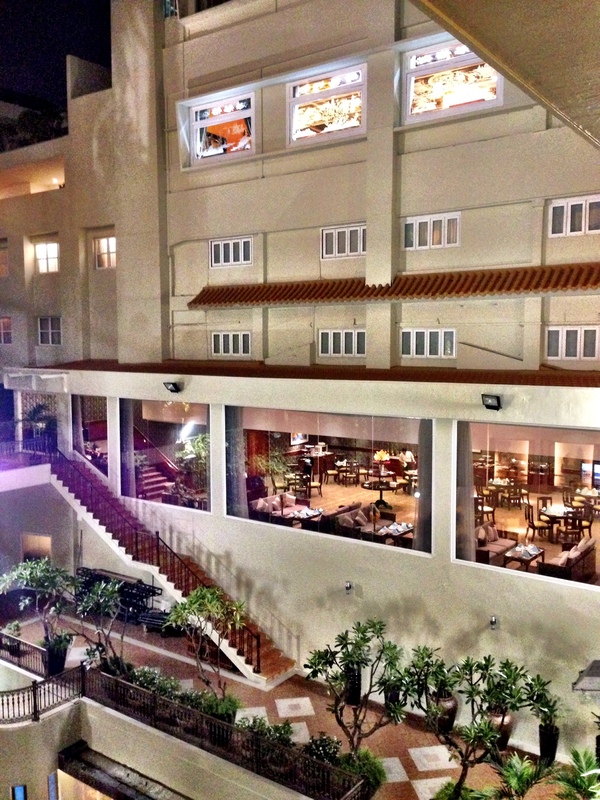 It resembled a Singaporean eating house, was packed with locals and smelled divine. We later discovered, Pho 2000’s claim to fame was serving beef noodle soup to Bill Clinton in November of 2000. We ordered 2 bowls of chicken pho, served with heaps of fresh aromatic Thai basil that needs to be broken off roughly and thrown in; cut chillies and lots of lime. I think we expected a lot out of our first meal in Vietnam, the pho, although suitably delicious, wasn’t spectacular (either our expectations were too high, or Singapore has spoilt us for choice and quality). Additionally, we sensed the broth was thick with monosodium glutamate (MSG) because a sudden sense of drowsiness over took us. Over the next 2 days we explored district 1 and a little bit of district 3. 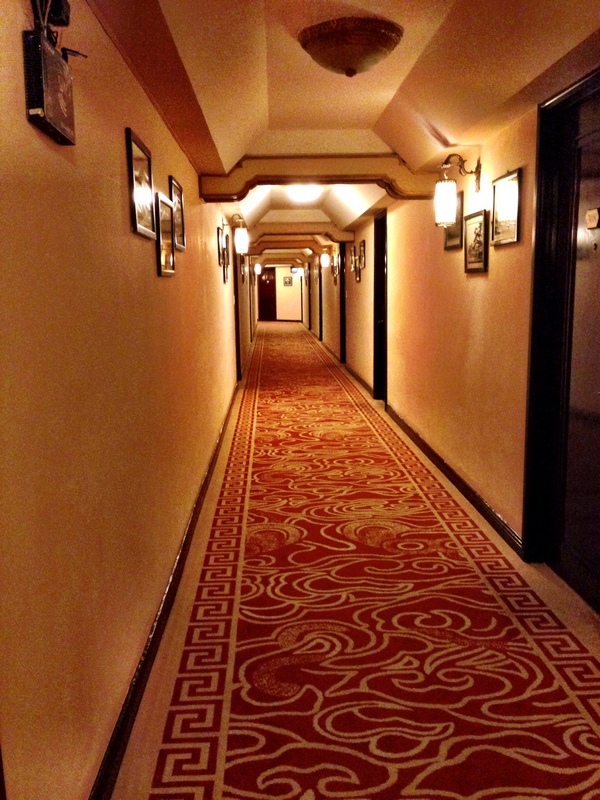 The hotel was very well located; other than our failed shopping expedition to district 3 for which we took a taxi, we walked everywhere. 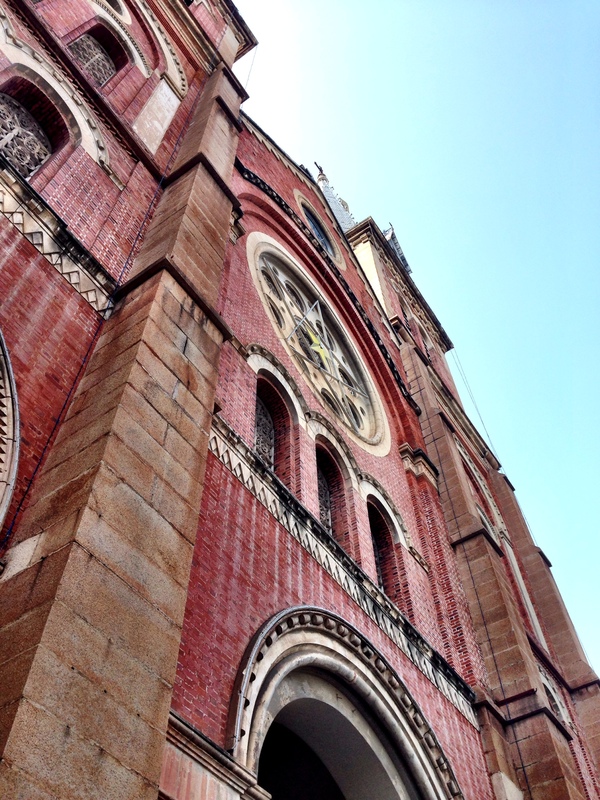 The Saigon Notre-Dame Basilica, established by the French colonists, constructed between 1863 and 1880. It is a spitting image of the Notre-Dame de Paris from the outside and very similar from the inside however not a patch on the latter grandeur wise. 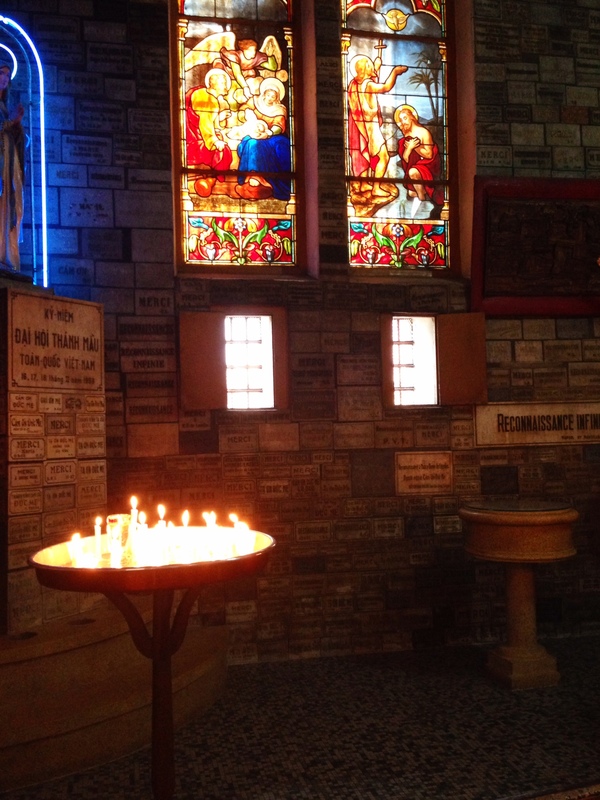 I have been to the Notre-Dame de Paris 3 times in the last 5 years and have always spent over an hour inside, but the Saigon version paled in comparison and we were out in 10 minutes. The Reunification Palace, also known as the Independence Palace conveniently located a block away from the Saigon Notre-Dame. 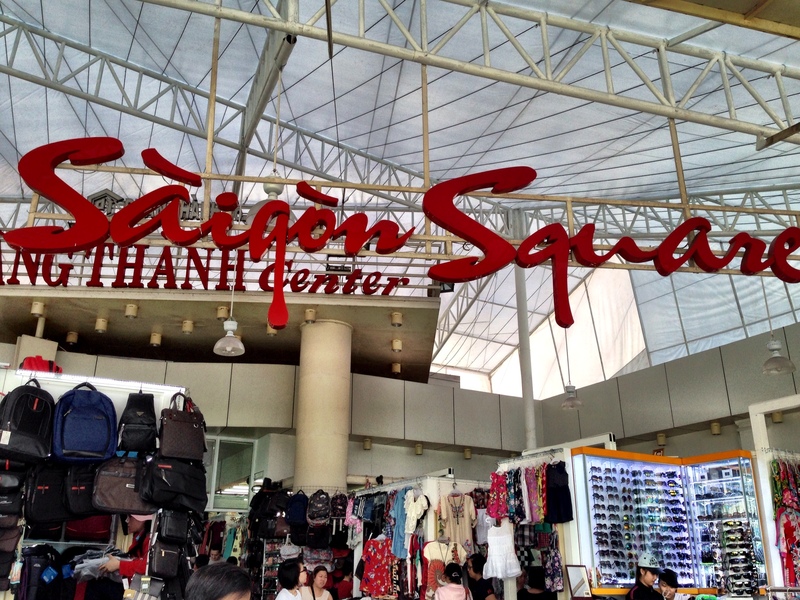 Saigon Square I and II for cheap knock-offs, where we bargained till we went hoarse – Old Navy t-shirts for S$4 anyone? War Remnants Museum, grotesque, real and gruesome exhibition of the 10 year-long Vietnam War and aftermath including the effects of the use of chemical weapons, primarily Agent Orange. The Saigon Opera House, also known as the Municipal Theatre of Ho Chi Minh City, is a marvellous example of French architecture. Built in 1897 by French architect Eugène Ferret as the Opėra de Saigon, the 800 seat building was used as the home of the Lower House assembly of South Vietnam after 1956. It was not until 1975 that it was again used as a theatre, and restored in 1995. 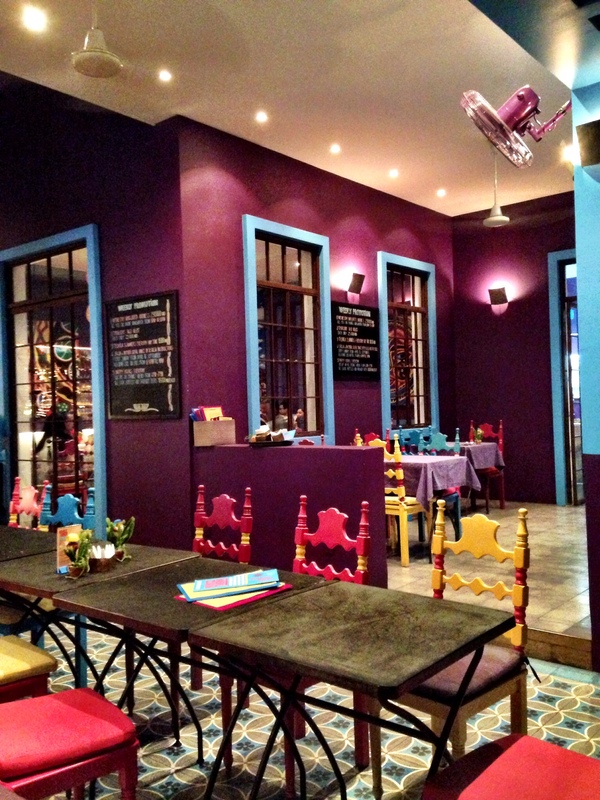 On the second night in, we discovered an enclave of restaurants in Ba Trung, (the courtyard of restaurants includes Vasco’s Bar, Beirut Garden, Hoa Tuc, The Refinery, Vino) popular with locals, tourists and expats, 5 minutes from the Saigon Opera House, behind the Park Hyatt. There, we ate at The Refinery that had sublime French food, their beet and fresh goat’s cheese risotto was particularly good and we polished it off in 2 minutes flat! 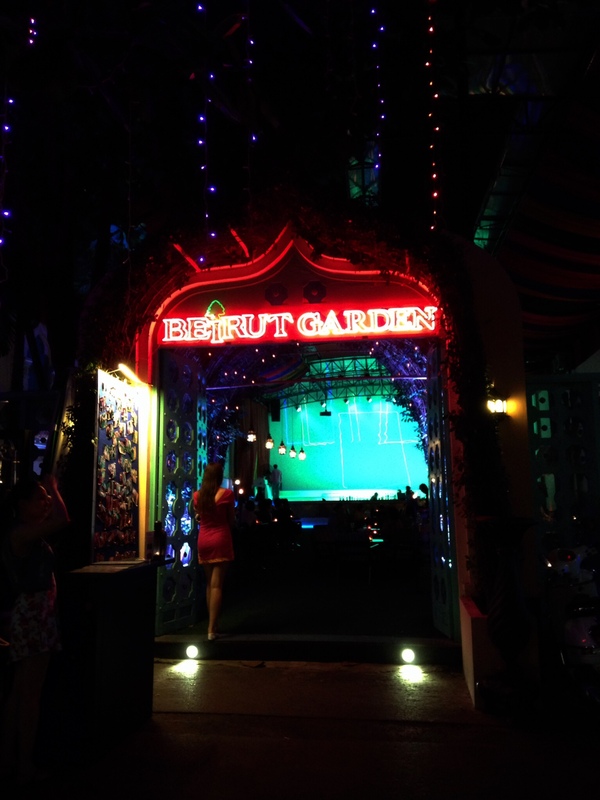 Next door, Beirut Garden looked equally busy with loud Arabic music trying to keep pace with the belly dancers. Another decent afternoon cafe find was L’Usine, close to the hotel right next to the Christian Louboutin store (of course we went in!). 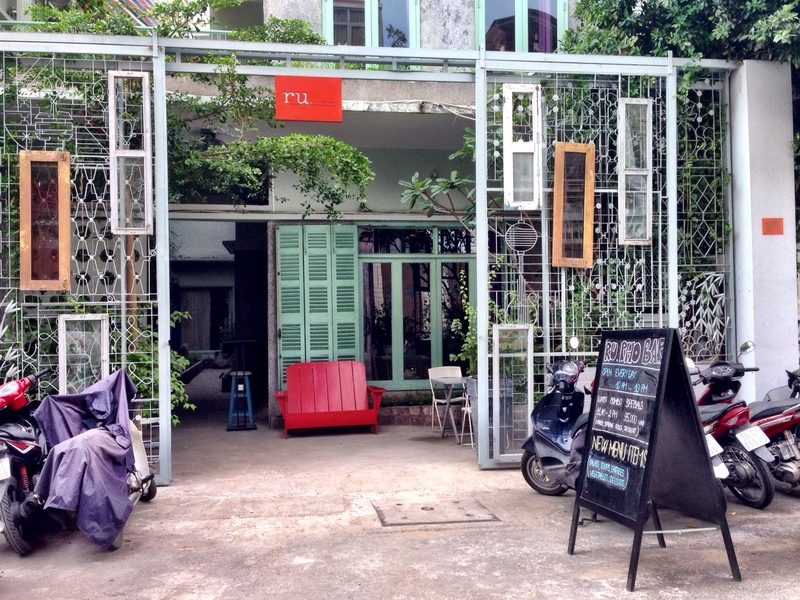 An edgy, multicuisine cafe and concept store with interesting knickknacks although steeply priced for Vietnam standards with a slight pretentious air. After sampling pho on the streets of Saigon, at the famous Pho 2000 and the highly recommended Nha Hang Ngon, we decided to chuck the guide out and take matters into our own hands! Deep in a residential pocket of district 1, we found a chic art-deco looking pho bar and restaurant that served up a bowl of pho worth writing about. The Rex Rooftop bar became our after dinner destination, cool and breezy it was, surprisingly, one of the most liveliest places in Ho Chi Minh City. We had tried a few bars listed on the Luxe guide and always came home to the Rex rooftop, its live band and infectious happy vibe. ∗ Nha Hang Ngon (http://www.quananngon.com), highly recommended again, however we found the food very average especially the pho and claypot fish. « Older Post De-coding the Bento. Tokyo. Japan. » Newer Post 48 hour wine trail. Sonoma Valley. A photo-journey. Planning a trip to Vietnam soon and this will be very very helpful. Thanks! Love pho, love banh mi, love Vietnamese coffee. Thanks for sharing this experience! I love pho and the coffee too! Vietnam ❤ never been to HCMC though! 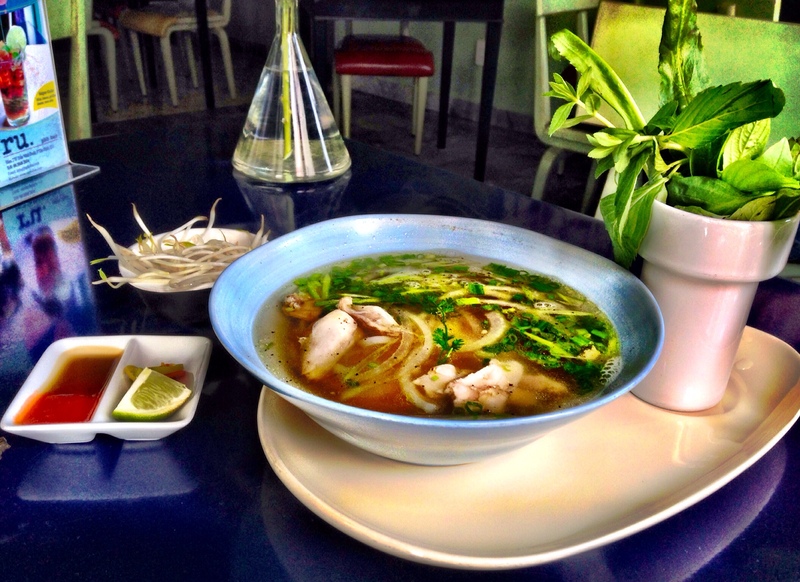 Finding the perfect pho–the noblest of quests! Great post and gorgeous images! I’ll definitely use this post in future travels. Tx! Great; I hope ru. pho bar doesn’t disappoint! Hi Aradhana! I love how detailed this guide is and how beautiful your photos are! Pho is one of my all time favourite meals! Awesome! Glad to be of service 🙂 enjoy Vietnam. 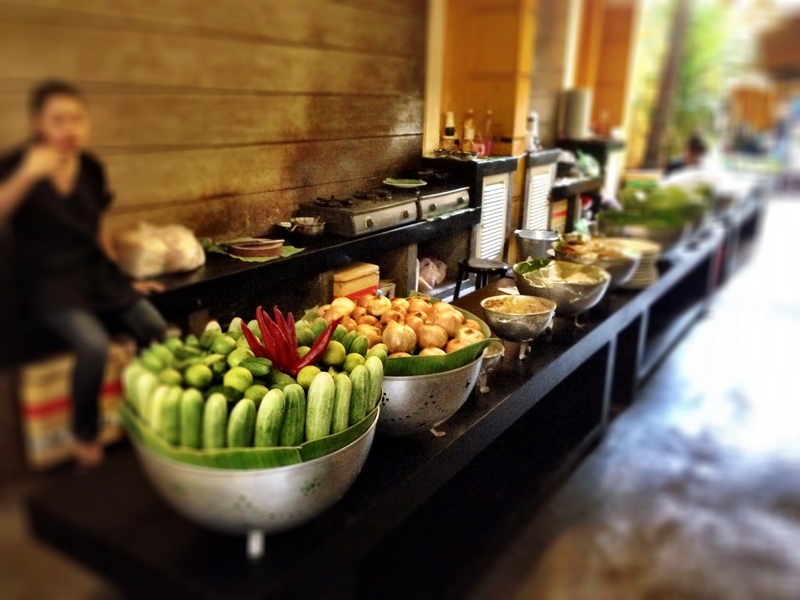 Are you doing Hoi An and the ruins at My Son? We sure are – HCMC, Hanoi and Hoi An, and I am trying to convince my travel buddy/little sister to do My Son! I’m assuming it’s worth it?! It is! I haven’t done it and Saigon happened by default but Hoi An & My Son would be the first on my list had it not. Soon I hope! Will take tips from you once you are back. What a pleasure to read this post! Thanks. You made me nostalgic. Tx! Will do when I plan a trip to Hanoi (on my bucket list!). I guess you did Halong Bay? Any pointers? And about the “best Pho”, I think I found it at a roadside local eatery in a Sapa village! Don’t take my word for it though. Check it out yourself! 😀 I’m talking about freshly smoked meat and herbs plucked on-the-fly from the backyard garden. Thank you 🙂 All the very best for your trip! Just Saigon?